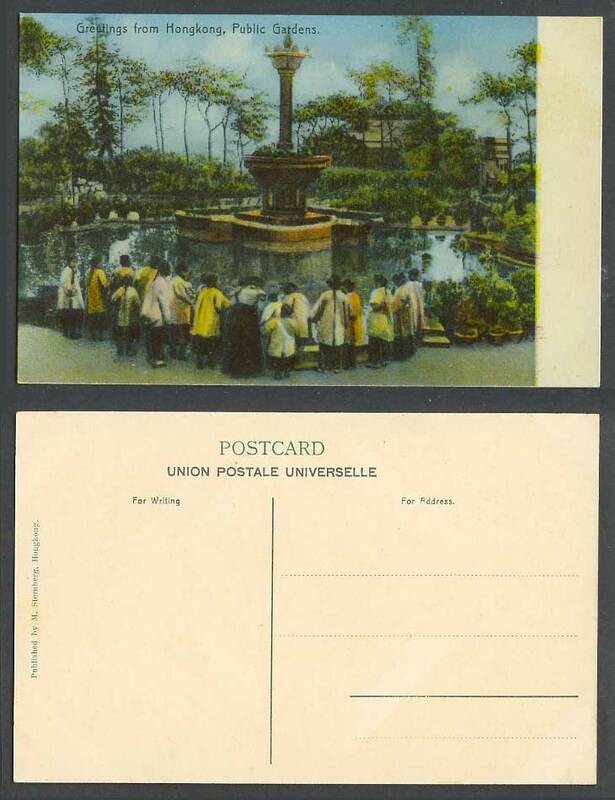 Vintage Colour Old Picture Postcard, China, Hong Kong Public Gardens, Garden, Greetings from Hongkong. Group of Qing Dynasty Chinese Women, Traditional Costumes. Fountain.